Headlining today’s post … ringing in 2016 in color! 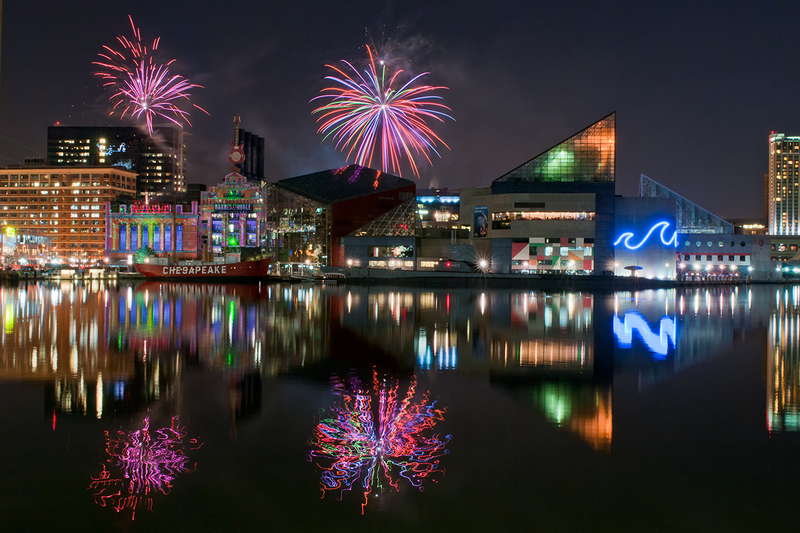 Today’s edition of What’s Up on Charm City Streets covers the month of December, 2015. Thanks in large part to the efforts of Anna Marie Wolfe of BaltiMurals, Canadian artist Birdo visited West Baltimore where he created a fantastic mural on the corner of Franklin and Pulaski Streets. 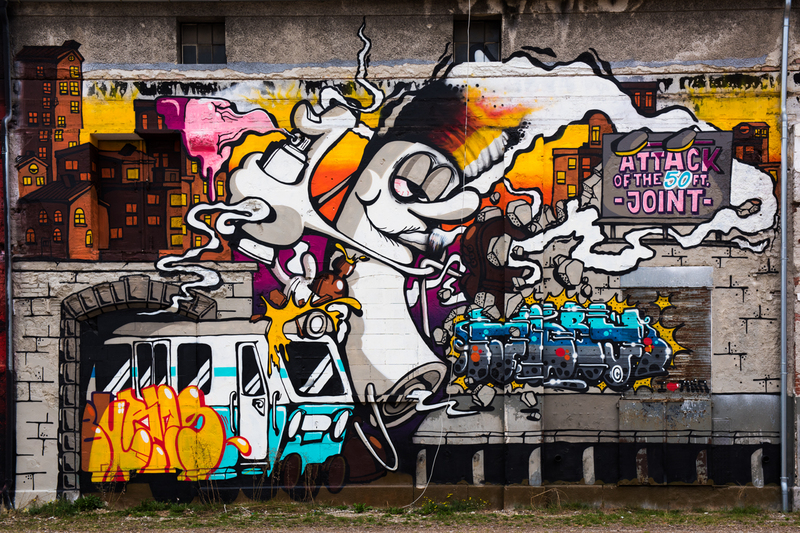 Headquartered in Berlin’s Tempelhof-Schoeneberg district, Urban Nation supports street art and artists world-wide. Their motto is all nations under one roof; and, their goal is a global exchange of artistic ideas, creative energies, and innovative talents. 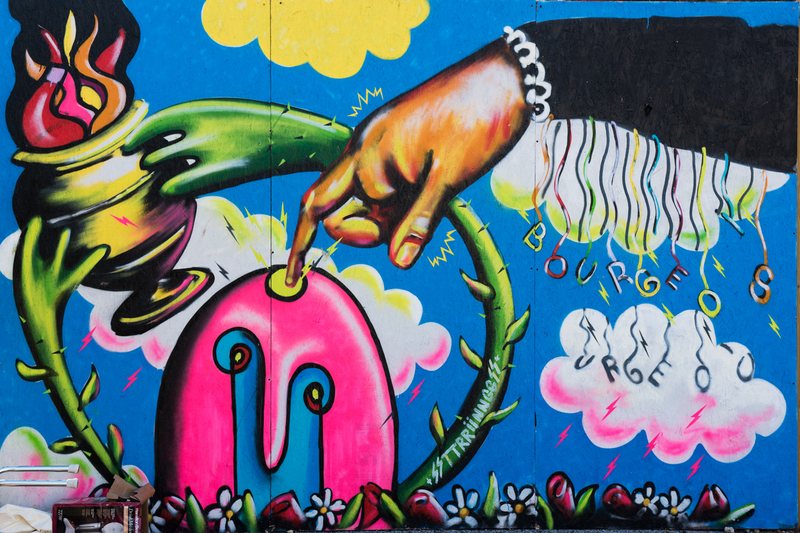 The Eastside Gallery is not only the longest segment of the Berlin Wall that still stands today; it is likely the longest open air gallery in the world. It runs for some 1300+ meters, a bit more than 8 tenths of a mile, along Muehlenstrasse in the Friedrichshain district. 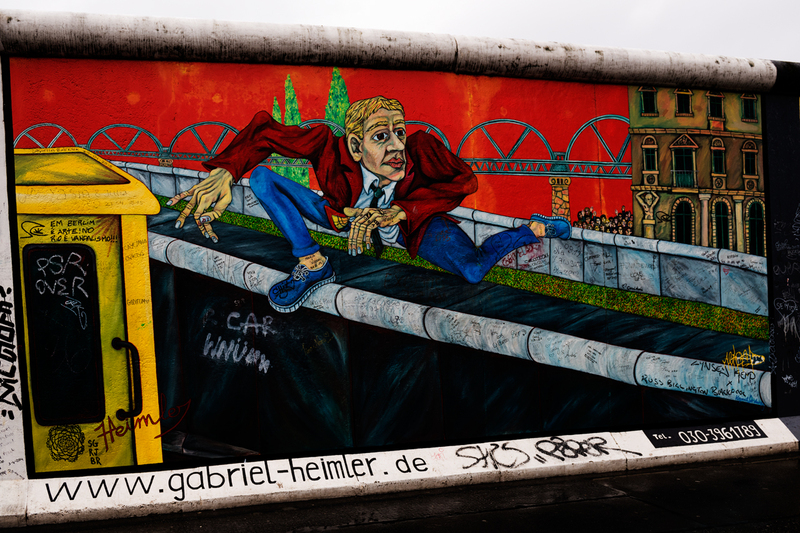 The fall of the Berlin Wall in 1989 ushered in change, hope for a brighter future in a reunited Germany, and hope for a freedom-filled future for all peoples and nations. Artists from all corners of the globe gathered in Berlin to capture and communicate the joy and excitement spawned by this hope. 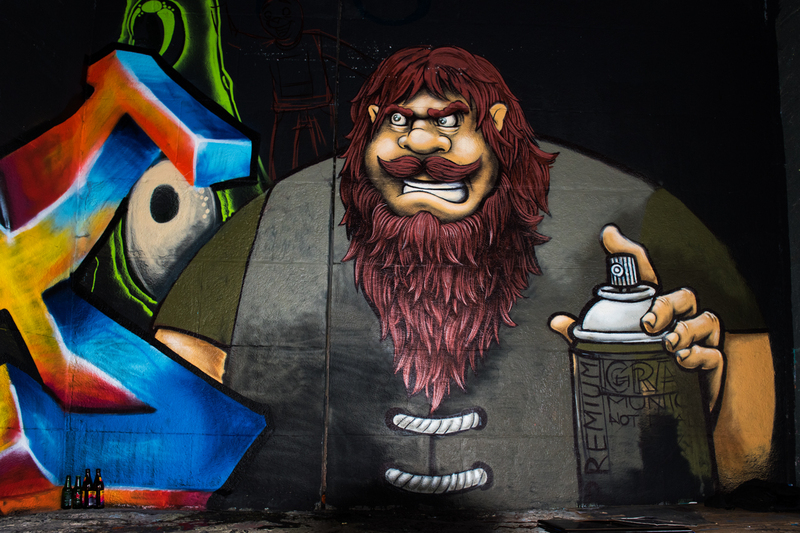 Work is progressing on transforming an unused area under I-83 in Station North Arts District into the world’s largest urban art park. 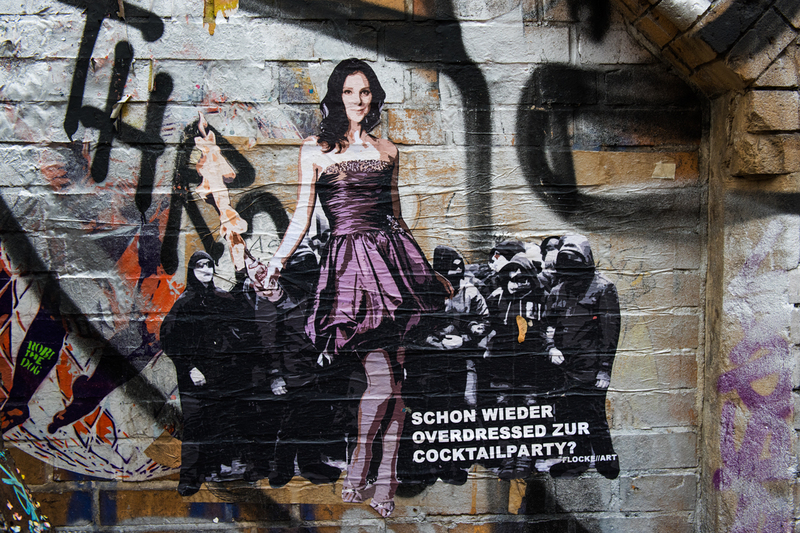 Headlining today’s post … Schon wieder overdressed zur cocktailparty? Berlin-Mitte, the district north of Kreuzberg, languished during the Cold War era, but today it is the thriving heart of the reunified capital city. Here you find the historic Reichstag building and its majestic dome, the famed Brandenburg Gate, the magnificent Unter den Linden avenue, the TV Tower, and much more. During the Cold War era, Kreuzberg was a downtrodden area in West Berlin. After the Wall fell in 1989, Kreuzberg found itself in the middle of the reunified capital city. Now, some 26 years later, the neighborhood is one of Berlin’s trendy cultural hubs. Pedestrian passageways under busy city streets make maneuvering one’s way through Munich quicker and safer. 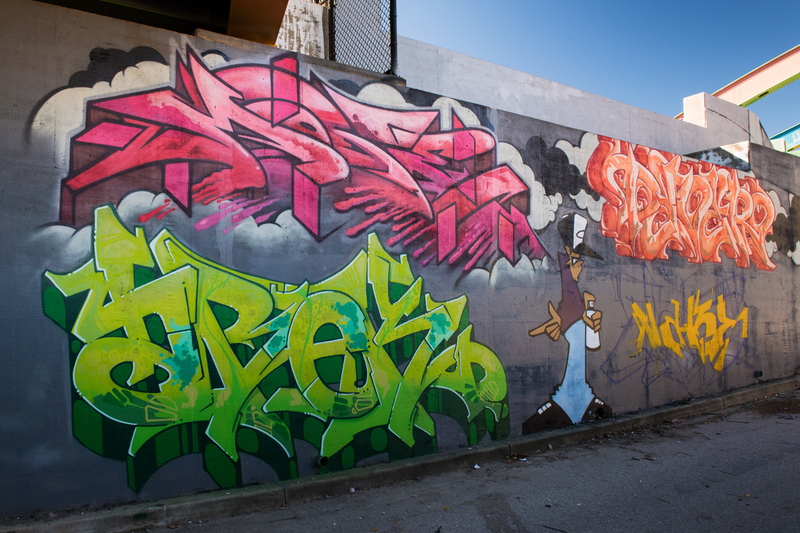 Moreover, they provide ample wall space for street artists to express their creativity. A prime example is the passageway near the Friedensengel where the artist Loomit curated a mural project a few years ago. Mention Munich, Germany, and most Americans think Oktoberfest, beer, and oom-pah music. While that is certainly part of Munich’s heritage, the city offers a rich history stretching back to the Roman Empire, world-renowned art museums, stunning church and secular architecture, giants of classical music, and much more. 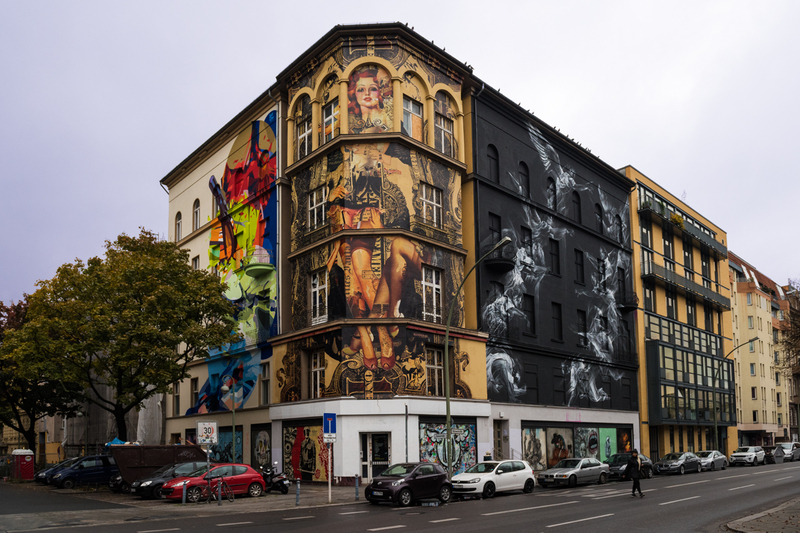 In mid-October, Charm City Streets traveled to Germany to seek out street art in Munich and Berlin. The trip, as the Germans say, was spitze and wunderbar.